Job board WordPress themes are essentially crafted for people who are in consultant, recruiters, and job recruitment business and are planning to build a responsive web portal for their business. There are various themes available in the market who guarantee multiple features and services but they are not that good. So for your ease, we have listed some premium and free WordPress themes which provide best in class features and top end service in this blog. All these themes are tested and verified by our expert technical team. 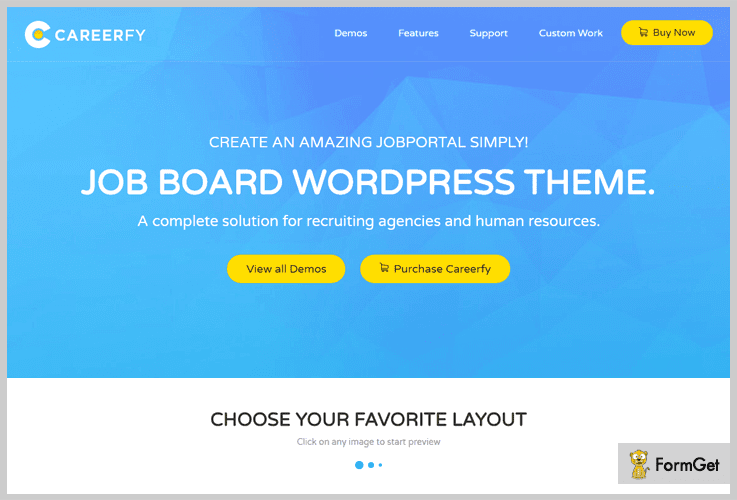 Job board agency WordPress theme is specifically crafted for consultancies, recruiters & recruiting centers who want to own a job portal for their business. This theme allows you to add various job categories, premium & free ads, displays recent posts on top, search bar, widgets and portfolio. This is not all you can get jobs ads posted with a click of a button and view ads list in two different formats (Grid view & list view). This is a multiple purpose WordPress theme which will cost you $79 for various services like pre-built demo content, full time technical support, frequent updates and more. Accept all payments for job ads and advertisements through PayPal & PayFast secure gateway. Add custom fields to define job details and provide a clear description. Homepage slider section to display the most recently posted jobs details. Advanced admin panel to manage all job ads with edit, delete ,approve & disapprove options. Sidebar section to showcase gallery images, job categories, recent ads and more. 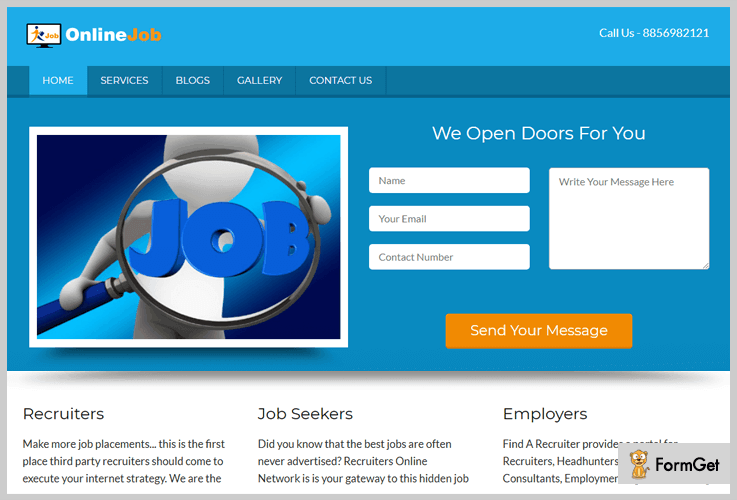 Job board WordPress theme helps you create a responsive job directory where job seekers can fetch recruiters details along with location and more. With this WordPress template can add jobs details in sliding featured area, add job locations, collect payments for one-time as well as recurring membership and manage all the activities from the WordPress dashboard. Job board directory WordPress theme comes with a price tag of $79 with which you receive developer license, WooCommerce and WPML compatibility. Sidebar and footer widgetized areas to showcase contact details, job review, categories and more. Dedicated ad banner space to attach job ads and recruitment details. Lead capture form which is a premium facility which comes inbuilt with the theme. Display recently added jobs along with reviews and price description. 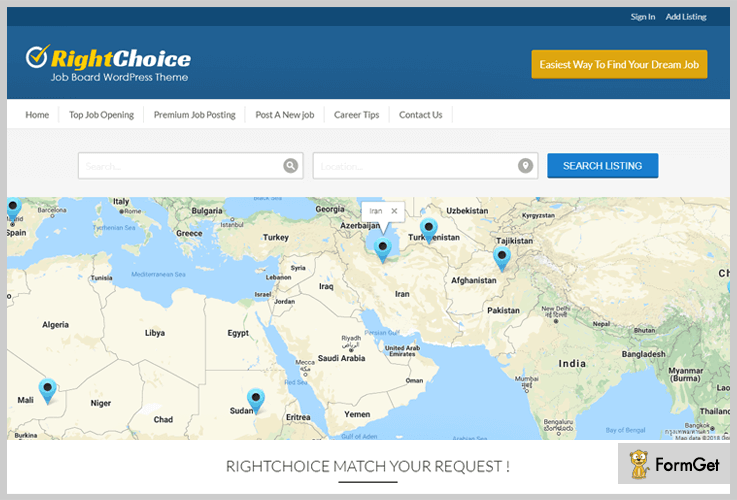 Allows recruiters you to add job locations and places on the maps for easy navigation. Internet Recruiting WordPress Theme will help your clients to shortlist the exquisite candidates for their companies. Having this WordPress theme on your business website you can easily notify the candidates about the recent job openings, desired qualification and much more. The template provides you with a lead generation form on its homepage where jobseekers can easily tie up with you. This theme is worthwhile for the placement agencies, career consultants, and job recruiters. Internet recruiting WordPress themes costs you $79, with lifetime support access, free updates and also with the demo website. The template is fully responsive in nature with all kinds of appliances like mobile, tablet, desktop. Enhance you with the pleasing portfolio gallery, where you can add on the images of job requirements. Provides you with 3 column feature blog sections to keep update your users with interview tips, personality development tips and many more. Online job theme is compatible with all type of cross browsers. Job board WordPress theme offers a distinctive design which can easily be customized. You get multiple pre-designed pages display company details and employer listings. There are many job portals and website but this theme will help to own a website which is extremely simple to manage, edit and customize. It supports latest WordPress versions, various browsers and more. 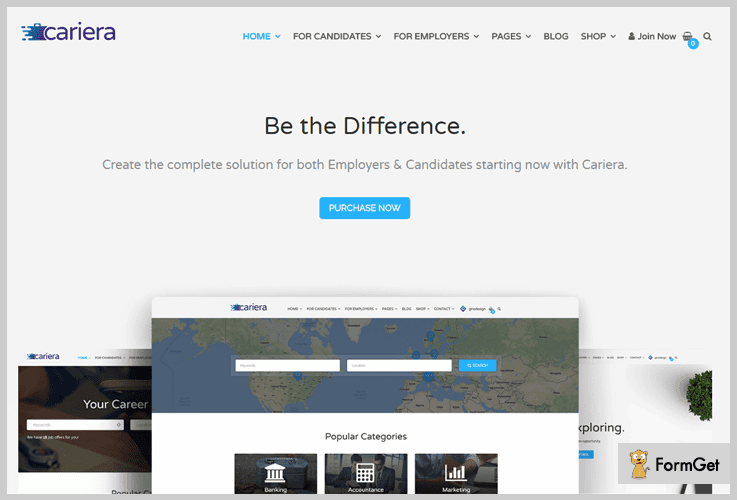 Careerfy is a premium WordPress theme which has got two different plan. First is the regular plan which is priced $39 and second is the extended plan which cost $2950. It gives you lifelong access, quick support and regular updates along with many other advanced features. Allows you to send email alerts. Inbuilt profile and resume builder is available. Provides full compatibility with WooCommerce. Fully optimized for SEO which helps your website rank high on the web search. This theme is built with HTML5 & CSS3 for fast loading and high performance. Job board & resumes WordPress theme is very easy to handle as its simple, elegant, non-complex for your business websites. 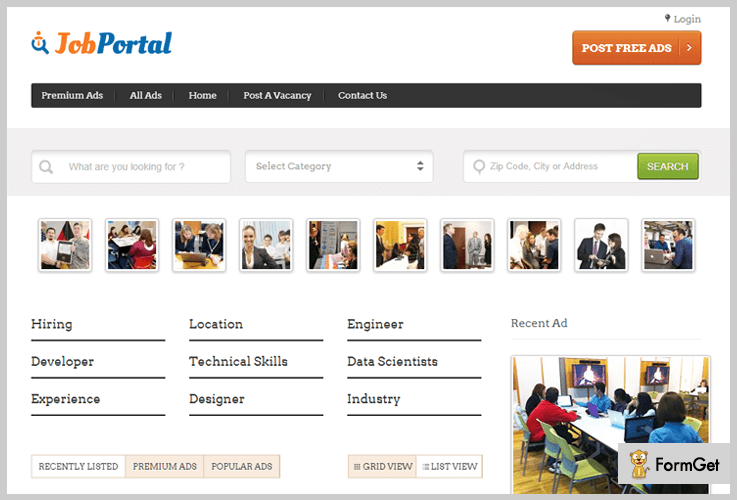 You can use this theme as a job portal, personal resume and as a website for company profile. It will help you furnish your site with custom header, custom menu, translation ready and many more. Job board & resumes WordPress theme has designed two plan one is the regular plan which charges $49 and the other is extended plan which will cost $2950. Allows you to add and use multiple WordPress plugins for form building. 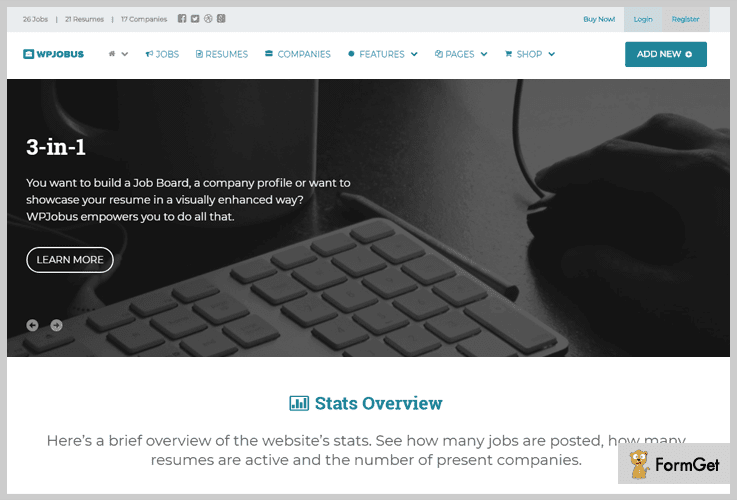 Displays precise details of latest jobs, resumes, and companies on the homepage. Separate registration for employers and candidates. Attractive theme options to give a custom look to your business website. This theme is simple and uncomplicated one which is crafted for professional or personal website creation. Using this theme you can create a good looking and responsive website with just a few steps. It is a highly rated theme which holds a score of 3.5 out of 5 which is good enough to use this theme on your job portal website. Job Board WordPress Theme costs you $59 for a regular license and $2100 for an extended license. But it provides you with lifetime updates, easy to customize and many other advanced services. Auto location feature helps you find the perfect job as per the location defined. The template provides you with custom background, custom header and custom menu for your website. This theme provides you one-click demo import facility for an amazing looking website. Delivers you with a threaded comment section, where user can easily share their views. It has two columns which include a slider and a feature blog section. Here we have covered all the 5+ Job Board WordPress Themes. We hope you will find the best themes for your business website as these all are enriched with outstanding features. If you feel to share your views with us then please comment below.